Last week, I have written about having the Cyberya Minigosyo Package ready and necessary permit in place. It is better to pay small costs up front for the types of permits required by the local municipality and have peace of mind than to have expensive complications down the track. 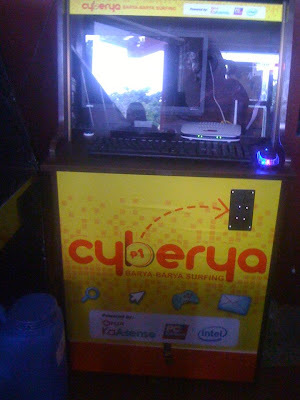 There are two existing Internet Cafés where I set up my Cyberya Minigosyo so I need to come up with a plan on how to encourage customers to pre-pay for their internet time and opt for Cyberya. Now to fire up my Cyberya Minigosyo, I have surveyed the age level, kind of applications and games potential customers usually look for. The demand for an internet café is high in my area. There are a few "sari-sari" stores and a small burger stall nearby which will attract pedetrians and casual customers. Most individuals have to queue in at the internet cafés especially in the mid-afternoon and evenings. The patrons who frequent the Internet Cafés nearby are mostly in their schooling age and some are in their productive age. The young kids are mostly into gaming while the older ones are into social media and job hunting sites. After looking into such details, I have decided to update the default browser Internet Explorer to Google Chrome for fast downloading speed and better surfing experience. Its enhanced security features are really commendable for users. I came up with AVG anti-virus to give a good measure of defense against adware or malware programs. With a solid antivirus solution installed on my computer, my customers and I are protected against malicious software, spyware and other privacy-invasive software. Next is lining up top-rated games to stock. Customers likes variety since everyone have different tastes. 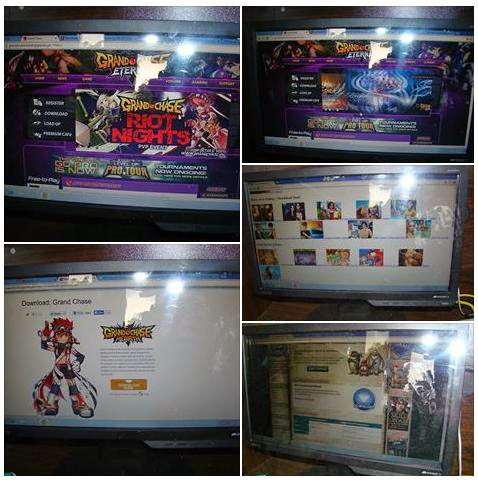 Offering a good line of choices to game enthusiasts will surely make them come back to using PLDT Cyberya. Offering fun and simple Flash-based games will keep my customers clicking around for hours. ►PLDT Cyberya offers fast and reliable connectivity. My unit's internet connection satisfies my customers' need for a higher grade, more robust connection. This is enough to draw a good crowd and establish a loyal customer base that will continue to grow since most internet shops skimp on internet quality to save money. 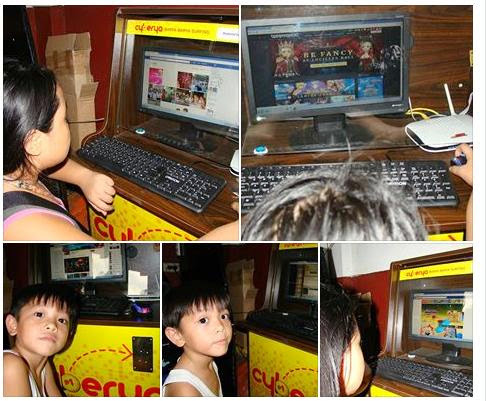 ►Anyone can get online for just one peso for a four-minute use. This set up is an advantage to clients who want to check emails and social media accounts since they only pay for the time they use. The timer does away with manual monitoring of the users' time. When the 4 minutes is up, it cuts power to the monitor and ends connection promptly. ►This plug-and-play Cyberya minigosyo business can earn P 15 per hour multiplied by 16 hours/day of operations in 30 days will yield P 7,200 in monthly sales. ►PLDT Cyberya doesn't require technical know how. ►Cyberya's contact providers---PLDT and PC Express are always ready to assist anytime if something goes wrong with the unit. Watch out for my Cyberya Minigosyante updates weekly. Be a fan and do vote for me at PLDT KaAsenso Site as your favorite Cyberya Blogger. Wow, props to you mommy! Galing! And this is a viable business because internet is really a necessity these days. Congrats and God bless on the venture! Thanks, Jhanis. Cyberya is a no-fuss business which anyone can do at home. Good luck to your business. I like the idea of one peso = 4 minutes, it is very affordable. With Cyberya, there's no more excuse for getting online. One peso for a 4-minute internet use allows you to check emails,apply online etc. This is really good! I've actually been thinking of getting this, but then we don't have a strategic location for it since our house is not located in a busy area. But congratulations on your business! A location that has a lot of foot traffic is ideal for any business venture. Good thing that we live in a busy street. mabilis po ba ang (PLDT) internet sa cyberya? ilang mbps po sya? How much is needed to have your own cyberya business? We actually looked into this when we were thinking of a business to put up. How easy is it to maintain the quality of your equipment when so many people (different people, at that) use the computer daily? My cousin who works at PLDT told me about Cyberya last year. Such a cool mini-negosyo! Congrats on your new mini-business! Goodluck on your new business!